The island of Sumba is located in eastern Indonesia in the province of East Nussa Tenggara and is home to approximately 650,000 people. 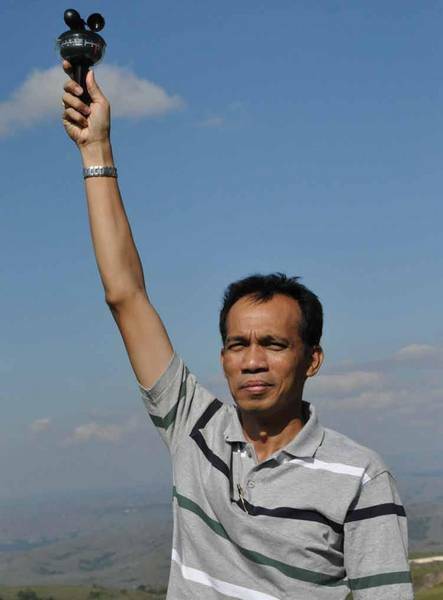 Like many developing regions, not only are the effects of climate change felt more acutely, but also electricity is not widely available, and where it does exist, it is supplied with polluting, expensive, imported resources - in Sumba's case, diesel and kerosene. 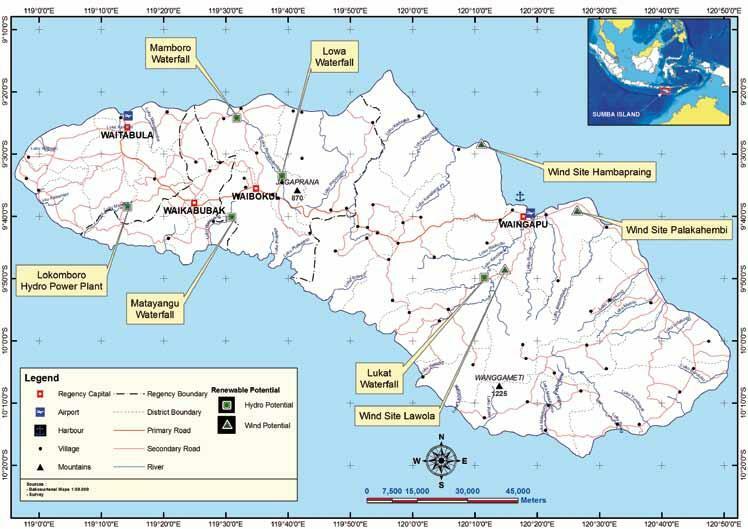 A 2010 study by researchers from two international NGOs, Hivos and Winrock, concluded that less than 25 percent of Sumba’s residents had access to electricity at home. At a cost Rp 300 million per kilometer of electrical extension grid, the local utility has been reluctant to expand the grid to the island. Taking the lead on being a role model of positive change, the island has made a commitment to shifting to 100% local, sustainable energy by approximately 2025. The project was initiated in collaboration with Winrock and Hivos, which specialize in partnering with developing countries to strengthen their economies with sustainable energy advancement. 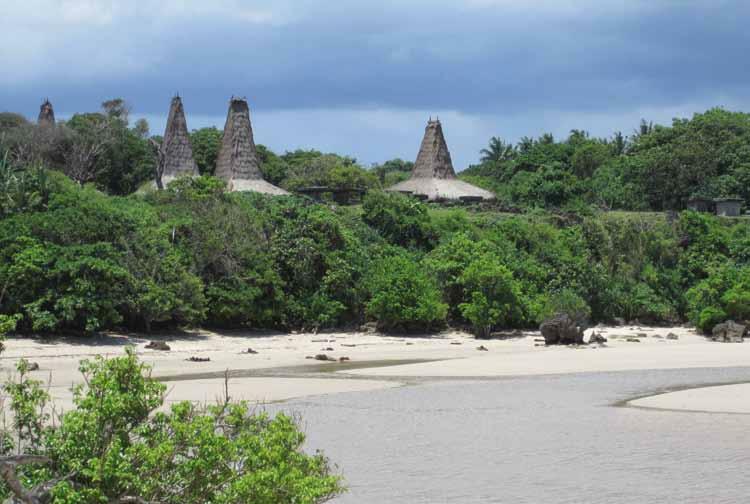 In 2009, helped by recognition of ample, local renewable energy resources, the idea was born for Sumba Iconic Island. In 2011, the project gained the support of the Dutch Embassy, Agentschap NL, local governments, and the State Energy company (PLN). In May 2013, the Asian Development Bank (ADB) committed $1 million to support the technical side of the project. In October 2013, The Norwegian Embassy in Indonesia then came in with 600,000 euros ($644,000) in funding for the program. First, those without energy should be hooked up to small scale renewable power sources, such as small hydro, biogas, and solar. Second, those who rely on dirty imported energy should switch to sustainable sources. And third, transportation should be fueled by sustainable sources, such as electricity powered by renewables. The goal was established to achieve this energy transition by 2025. Examples of progress include a 1.5 kilowatt-hour (kWh) solar panel that installed in 2014 at Praimarada Elementary School and provides electricity for all the school’s administrative and teaching activities. In the village of Rakawatu, a biomass plant with a generating capacity of 50 kilovolt-amperes had been providing electricity for the whole village for a couple years. A solar water pump capable of pumping 80,000 litres of water had displaced the need for diesel. To maintain the renewable energy projects, the villages and school appoint one person from a small committee to perform regular monitoring. of the power plants. Notably, renewable electricity has become a new income stream for the villages, which sells it to the public. For example, it is reported that Praimarada Elementary School offers neighboring villagers Rp 1,000 per use, if they choose to buy power for personal needs, such as charging their cell phone. In Rakawatu, households are charged different rates depending how much power they use. For example, households with televisions must pay a monthly rate of Rp 50,000 per month, while lighting only electricity monthly plans are only Rp 35,000. The regional government funds major maintenance costs, such as replacement of equipment, where needed.